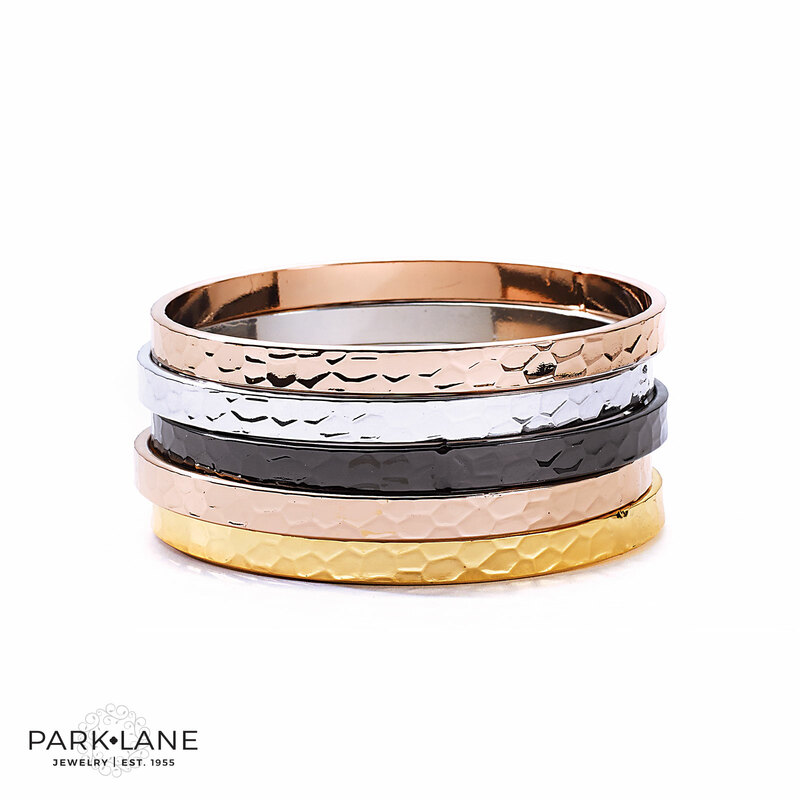 This set of five, gently-hammered polished bangle bracelets is a wardrobe must-have. One each of hematite, silver and gold; two rose gold! Complements Love Connection and Camellia ensembles. Dolce and Notice Me necklaces.